This type of optical receiver is specially designed to overcome the problem of power supply in the field. 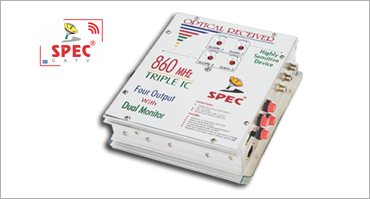 It is a quality optical receiver as well as 2A power source itself. It is output connectors produce RF signal along with 60V 2A ac voltage which is very useful to operate at least three nodes and four amplifiers as well.